Sharing the music, passion and experiences of our performers with other young people is a vital part of From the Top’s Arts Leadership Program and we’re always excited to have new opportunities in each city we visit. Two weeks ago, From the Top had a great opportunity to meet and play for kids at the St. James Church in Gettysburg, PA, kicking off our three day stay in the historic town, where we taped a radio show at the Majestic Theater. Our wonderful partner and host, the Gettysburg Festival, arranged for us to play for a small group of students, ages 8-12, attending day care at the church. 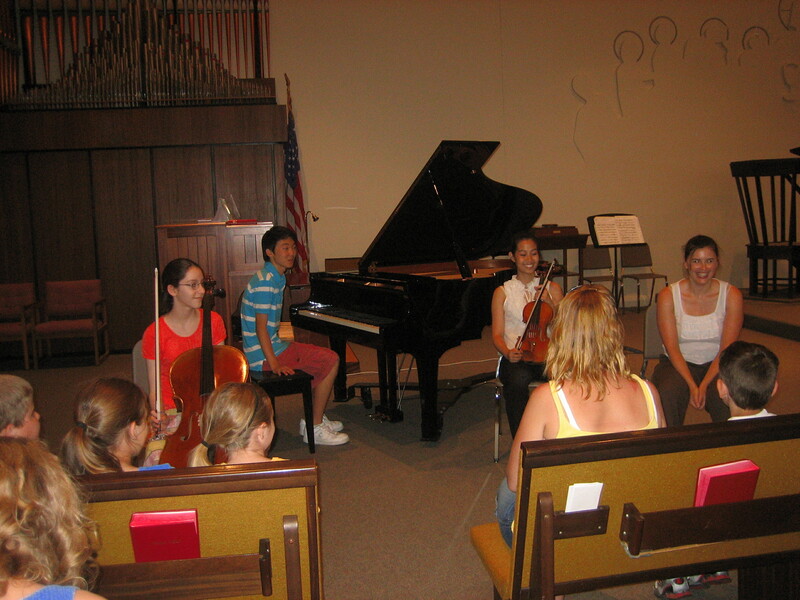 There were many budding musicians in the group and they were treated to a wide range of instruments with four soloists from the show: Sodie Finebone, tuba, Kathryn Westerlund, cello, Elaine Kang, violin and Hyung-do Kim, piano. The From the Top musicians gave the kids a sneak peek of their show pieces, demonstrated some cool features on their instruments, and shared what they love about playing music. 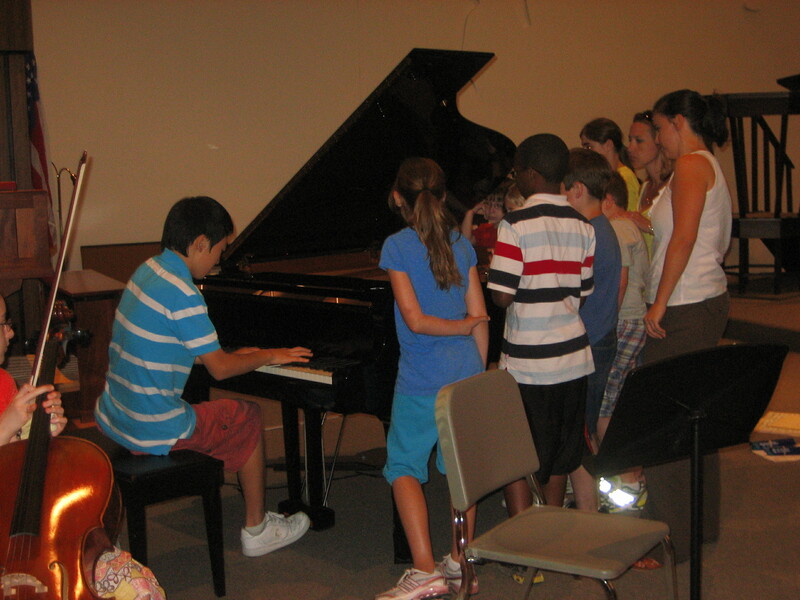 The kids responded enthusiastically with their own thoughts and questions about the music. Check out this short clip of Sodie explaining how the tuba works and one little girl’s reaction to his big sound! Hyung-Do pointed out that this kind of performance “…really allowed the children there to see the instruments and hear classical music close up.” In fact, Hyung-Do gave the kids a guided tour of what happens inside the piano when he’s playing.They were also treated to a great view of his fingers flying up and down the keyboard while seated on the floor directly in front of the piano during his performance. Kathryn also found creative ways to engage the kids. To explain how she feels when playing the Shostakovich Sonata in D minor, Kathryn used a monster-like arm gesture and grimace- no words necessary!“I really enjoyed playing for the kids up close and answering their questions…because it introduces music to kids and might inspire them to become involved in music.” We couldn’t agree more. Thanks to everyone at the Gettysburg Festival and the St. James Church for making this event possible and for making our time in Gettysburg so special! Read more about our Arts Leadership in Gettysburg, and check out Joanne Robinson’s behind-the-scenes account of the show.